Dec. 2013 – Inmate attempts to change the Pennsylvania Supreme Court’s ruling against the retroactivity of the Miller v Alabama ruling ending mandatory life without parole sentences for teen killers. These kinds of challenges by offenders are common and to be expected, not likely to succeed. Ultimately the retroactivity issue may end up back in the U.S. Supreme Court. 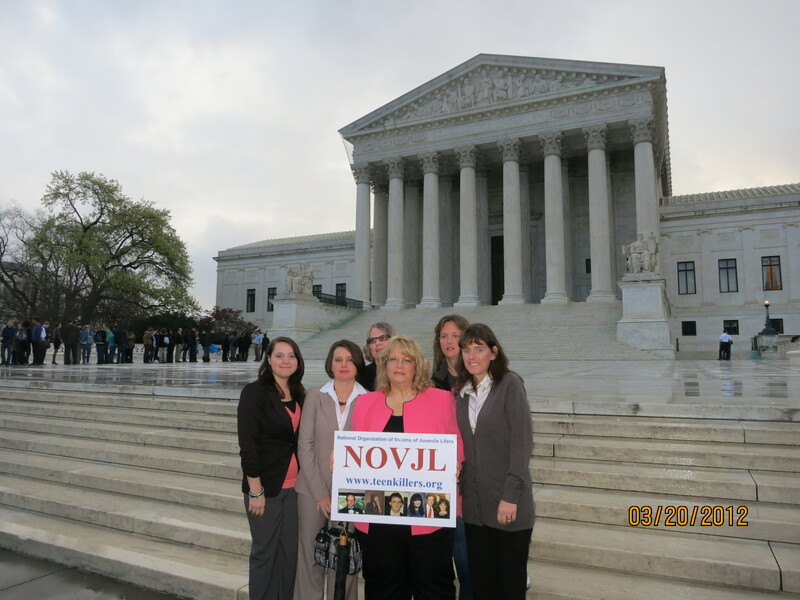 Oct. 2013 – News from the Pennsylvania Supreme Court welcomed by victims families! Teen killers in PA continue to push for resentencing and the Third Circuit grants retroactive sentencing appeals to three offenders. Some media coverage from Lancaster County of impact of the state Supreme Court decision on offenders. Some media coverage from York County. August 2013 – The first PA teen killer serving life for murder is re-sentenced in the wake of the Miller v Alabama Supreme Court ruling in Pennsylvania, the state with the largest population of JLWOP cases. He receives a 60 years-to-life sentence, still an extremely and appropriately long sentence, raising the question – is all this agony, expense and hassle WORTH this? The offender advocates who have spent hundreds of millions of dollars in this national campaign to free 1300 teen offenders serving life for murder have been putting victims families through a living hell during their campaign. And costing over-burdened state budgets even more money in extra legal proceedings for these offenders who already received full legal due process. All so they could give them a “second chance” (remembering many of them were already hardened criminals with a lengthy criminal record at the time of their offense at age 16 or 16). But we have been predicting, as we saw in Florida after the Graham ruling, that the new sentences they received would not be much shorter. The reason is because they have already been convicted of first degree heinous murders. Courts are still going to give them appropriately longest-possible sentences. All this money. All this hardship on victims families. All this false hope given to offenders and their families. All so they can serve a 60 year sentence instead of a life sentence. This is the REAL cruel and unusual punishment. March 26, 2013 The Pennsylvania Supreme Court issues a ruling in line with our view of the Miller v Alabama ruling – that under the Teague Rule it is only applicable to those cases currently open under direct appeal, keeping life without parole sentences in place but opening past cases to some limited opportunities for re-sentencing for those offenders still appealing their cases. November 26, 2012 A Pennsylvania Court ruling agrees that the Miller Supreme Court ruling against mandatory life sentences for teen killers is NOT retroactive. Download their ruling here. In the aftermath of the US Supreme Court ruling in June 2012 barring mandatory life sentences for teens who kill, hearings were held on Thursday July 12, 2012, in Pennsylvania, reportedly the state with the most number of cases of teens who kill receiving life sentences. A Bill passed in the legislature and was signed by the Governor in October 2012 complying with the Miller Supreme Court ruling against mandatory life sentences for teens who kill, but that appropriately preserves the life sentence as an option. Victims families await a state court ruling on the issue of retroactive application of the Supreme Court ruling. Our legal experts tell us that the Supreme Court ruling should not be considered retroactive under current court precedent. The Miller ruling should only apply to cases still open under direct appeal and future juveniles who kill. Hearings held at the Pennsylvania Capitol allowed public testimony on how Pennsylvania should modify their laws to comply with the recent Supreme Court ruling limiting juvenile life without parole sentences to when the Judges have options where they can consider the individual case, including the age of the offender. In other words, JLWOP can not be mandatory. Read important legal analysis submitted as testimony on this issue to the PA legislature from the office of the former US Attorney General. View moving video testimony from Bobbi Jamriska, NOVJL PA Director. 1.) Are the existing sentences subject to re-sentencing. 2.) If there is a need to apply retroactively, how will that occur? 3.) What should the new law be, for all new cases? There were NO members of the committee, other than Senator Greenleaf present at the hearings. The agenda included both sides of law, prosecutors and defense attorneys, a few victims, and our state victims advocate, and as usual a whole host of groups and individuals in support of re-sentencing and releasing the killers. I’ve attached a copy of the agenda, and some testimony. Only two news outlets covered the hearings, the Penn State football program scandal dominated the press this day. suggestions for how to act on retroactive sentences, was even more disturbing. One of the defense attorneys testifying, suggested that, all 1st degree sentences be reduced to 2nd degree and resentenced on that lesser crime, and that all 2nd degree cases be reduced to the felony committed during the homicide, and the sentencing reflect that felony, and not the homicide. Continuing themes included : Brain science, disparity in the number of folks serving here in PA (480, 387, 600+) depending on the speaker. great job of keeping us at the table. SCOTUS announcement and I’m sure I’m not alone. Good luck everyone. Highest Number of Juvenile Lifers Nationally? According to offender advocates, Pennsylvania has the highest number of cases of teen killers sentenced to life in the nation. We also hear claims that some of the youngest offenders in the nation sentenced to life as adults may come from Pennsylvania, and that mandatory sentencing is farther reaching in Pennsylvania than in other states. We certainly know that a robust public policy discussion, with all the FACTS and STAKEHOLDERS (including victims) fully included is the only way for the state to proceed to discuss these life and death decisions. We do know that some of the worst murders in the state’s history were committed by teen offenders now serving life as adults. “Bobbi Jamriska, 38, of Shaler disagreed [with the proposed legislation]. In 1993, Maurice Bailey of Crafton Heights, then 16, fatally beat and stabbed Jamriska’s sister, Kristina Grill, 15. Life sentences without parole do not provide closure, but they do ensure that convicted killers cannot strike again, said Carol Schouwe and others opposing the bill. “Supporting this bill is giving permission for juveniles to commit murder without the dire consequence of spending their lives behind bars,” Schouwe said. 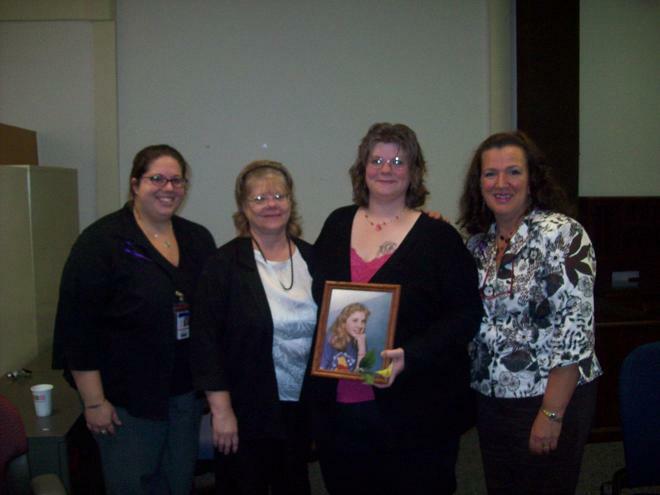 Pictured below: In September 2008, Dawn Romig, mother of Danni Reese, who was brutally raped and murdered by a 17 year old, tried as an adult and sentenced to life in Pennsylvania, goes with her family and victim advocates to give testimony on JLWOP. The hearings did include a few victims families who the wonderful PA victim advocate Carol Lavery and her staff worked hard to find. But they had almost no time, no notice except from us here at NOVJL and we had found it through Google alerts. No word to victims from Senator Greenleaf’s office before the hearings. Those victims that went to the effort to come and speak were verbally assaulted at the hearing and the Senator in the Chair did NOT silence them, thereby re-traumatizing even further these poor families present. 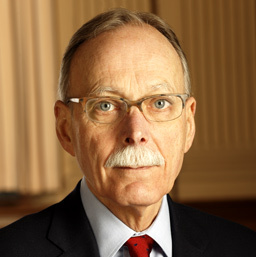 Contact the office of State Senator Stewart Greenleaf to comment. Download the text of a webchat between an NOVJL national board member and a Philadelphia area newspaper. 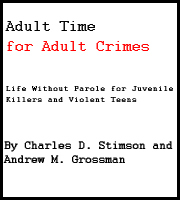 Below are links to testimony given at the Pennsylvania state capital on proposed legislation to retroactively undo juvenile life without parole sentences for teen killers. 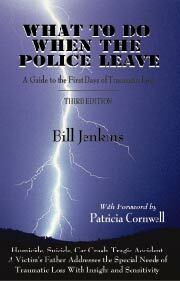 Ironically, just a week after these JLWOP hearings a PA parolee murders a police officer. The Governor of PA suspends ALL paroles pending investigation. The reason for this is an unmitigated tragedy. The reality politically though is a positive eye-opener. The dangers of paroled killers are painfully reminders of the importance of not using parole as their “solution” to JLWOP.